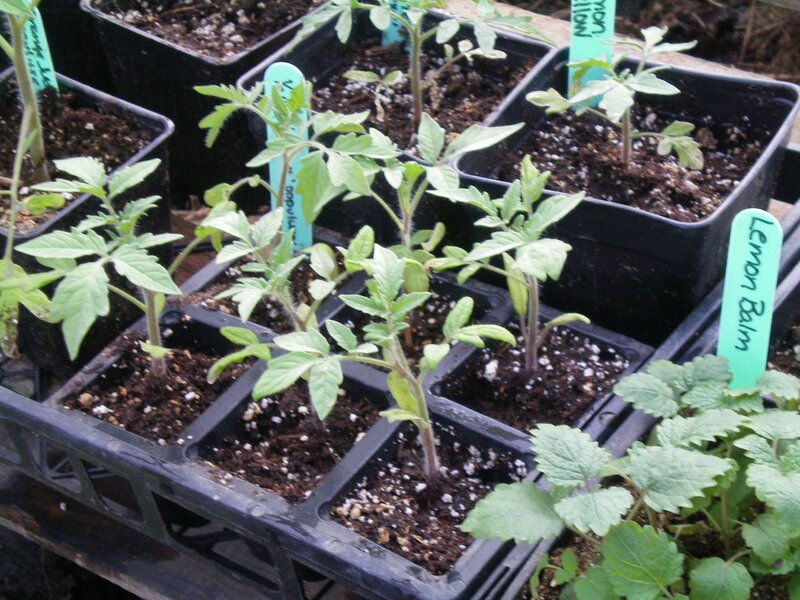 Right now the seedlings are about 6 – 8″ tall, and growing quite well. The weather has been nice, but the temps are going to dip down a bit next week. Since it is said to not be good for northern gardens, it is definitely going to be planted in the greenhouse. This house is not heated, but it will give some protection, and if we have a summer anything like the last one, it will make all the difference in the world. They will likely be planted late next week or so. 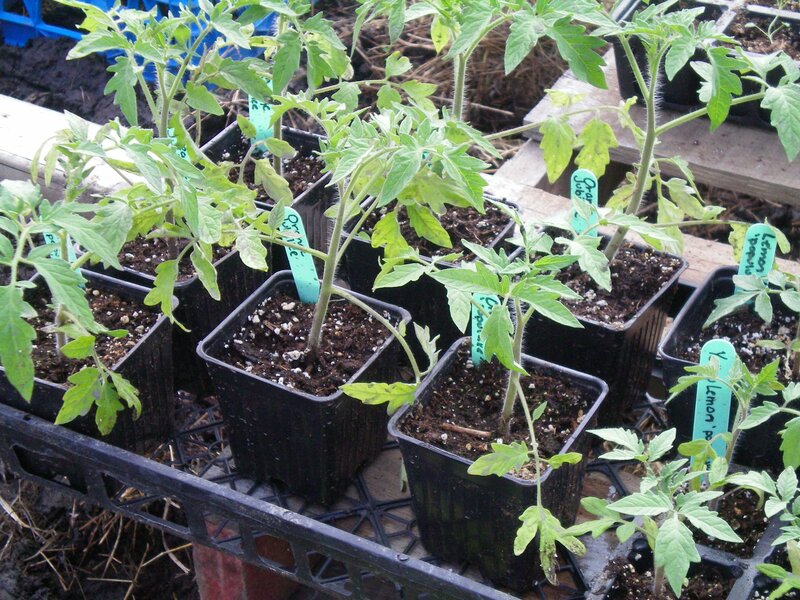 Seven healthy plants are ready to plant out as soon as weather permits. The Yellow Lemon seedlings are smaller, despite being seeded at the same time as the Orange Jubilees. In fact, I reseeded them a second time because I thought they were growing too slowly for some reason. Now that both sets of plants are generally the same size, I was wondering if they are just naturally slower or smaller. I searched out for more information on them, but didn’t find too much, other than it producing 2 – 4 oz yellow tomatoes, and that it is a heirloom from Iran. I will just have to see how this one grows. Eight plants are growing now, waiting for planting time. Asides from these ones, I have oodles of other heirloom varieties in the greenhouse right now. It’s interesting to see how different/slower/faster some varieties grow when they are side by side. Over the next few days I am getting them all sorted out and counted, and ready for planting.